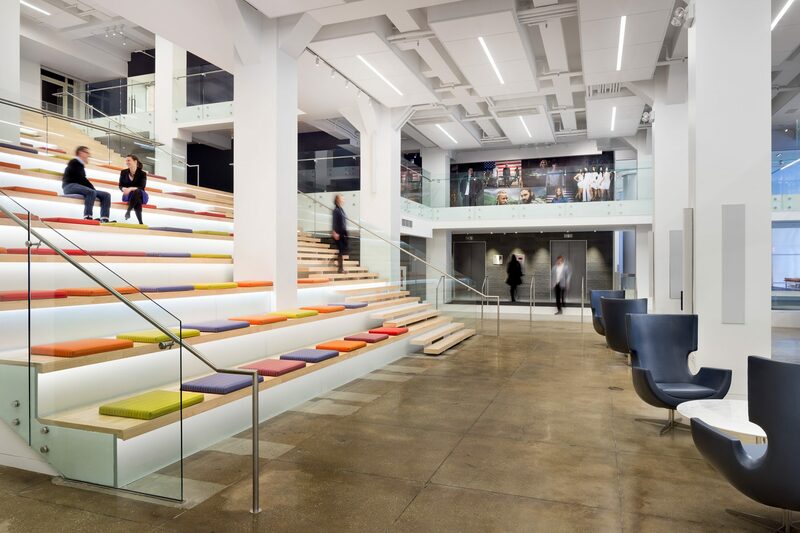 Even though another architect had been awarded the consolidation of A+E Networks’ three New York City offices, we took over the project midway through the design stage, and provided a complete rethink of objectives and concepts while maintaining a schedule that was accelerated to begin with. 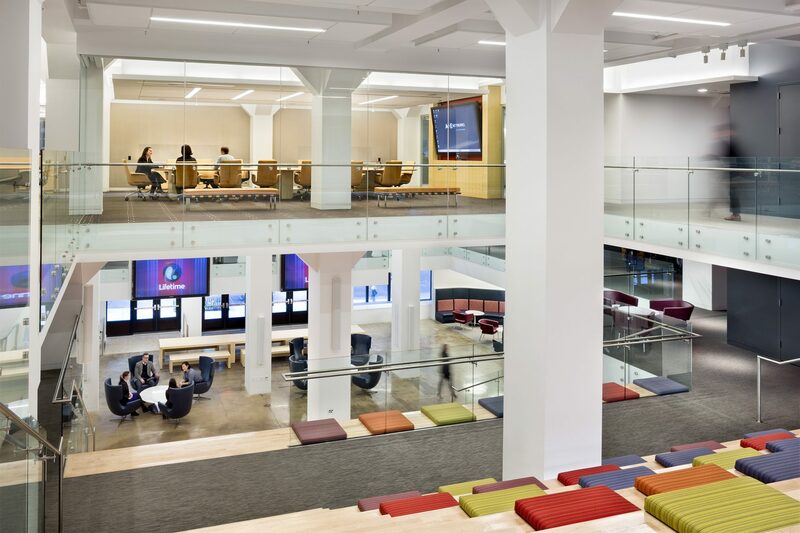 At the heart of our design for their 320,000-sf headquarters: a “commons” area in a three-story atrium. This dramatic space is ringed by a second-floor mezzanine, and topped by a nine-room conference center, part of which is cantilevered over the space to “float” above a café and a colorful staircase suitable for both climbing and casual seating. 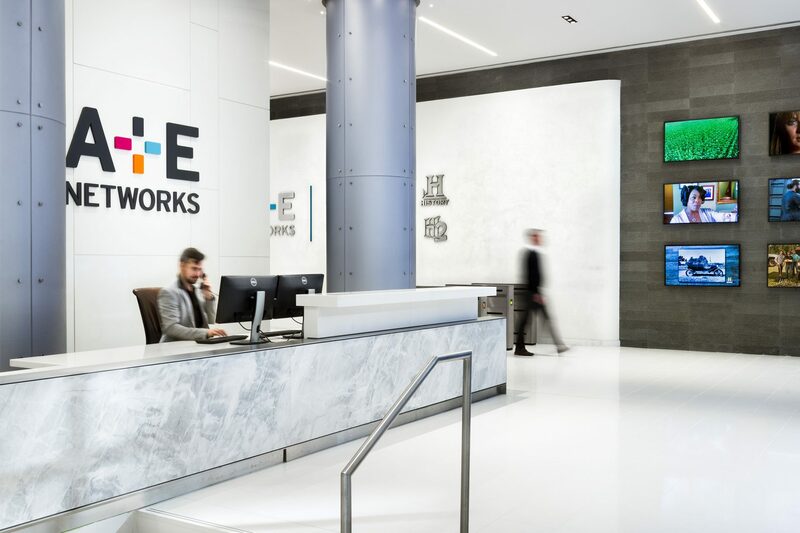 In addition to 15 floors of office space, we upgraded all digital production studio and technical facilities for A+E’s 10 individual networks—including 21 edit rooms, a technical operations center, and audio and production control rooms.